Nathania is an Associate with PIB Law and focuses her practice on civil and commercial litigation. 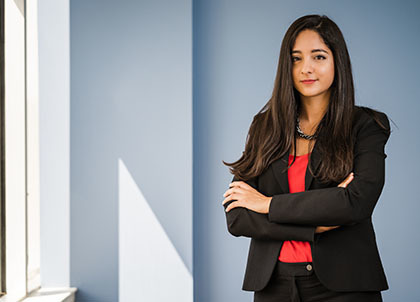 Prior to joining PIB Law, Nathania served as a Law Clerk for the Honorable Estela M. De La Cruz, J.S.C., Superior Court of New Jersey, Civil Division, where she conducted legal research, analyzed motions, pleadings, pre-trial submissions and trial evidence. Previously, she was a Clinical Law Student at Rutgers Law Community and Transactional Clinic.